Categories are logical groupings of items that have similar characteristics. 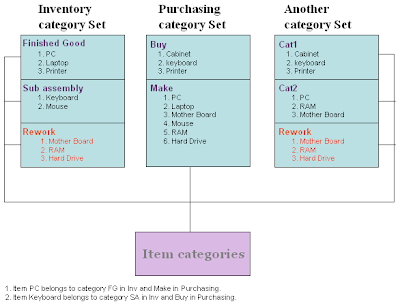 A category set is a distinct category grouping scheme and consists of categories. Each category grouping scheme can use different terminology for its categories, as well as different naming structures based on number of segments. 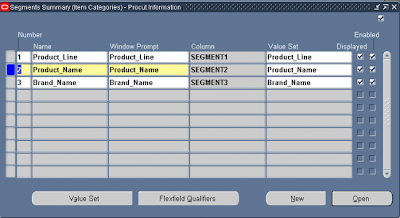 You can define multiple structures for your Item Categories flexfield. 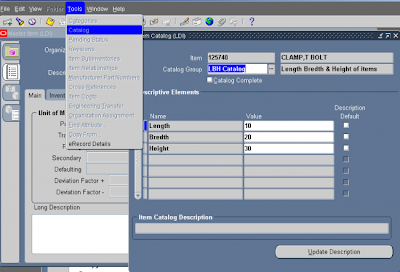 You can configure each flexfield structure by using as many segments and any level of value set validation that you need. 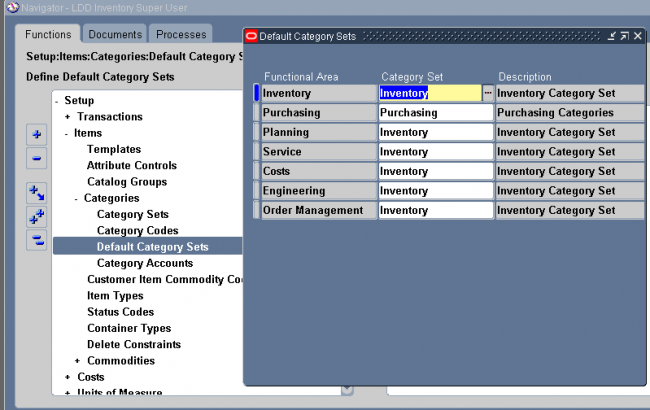 When inventory is installed, a default category must be assigned to each of the following functional areas: Inventory, Purchasing, Order Entry, Costing, Engineering, and Planning. 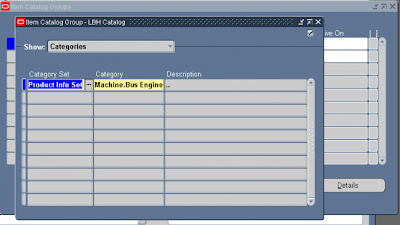 When an item is enabled for a functional area, it is assigned the default category set. You cannot delete the items default category set assignment. 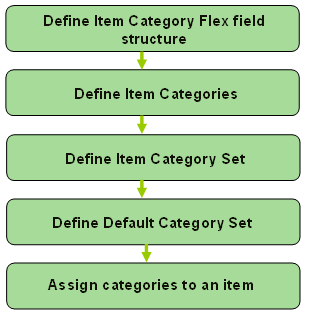 Default categories are required so that each functional area has at least one category set that contains all items in that functional area. 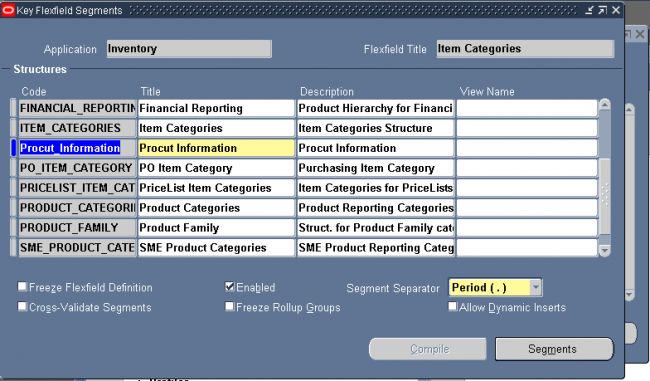 For the functional areas, optionally, you can have a unique category set; for example, you may set up a unique category set for Purchasing. It is also possible to have one category set defined to be the default category set for all functional areas. 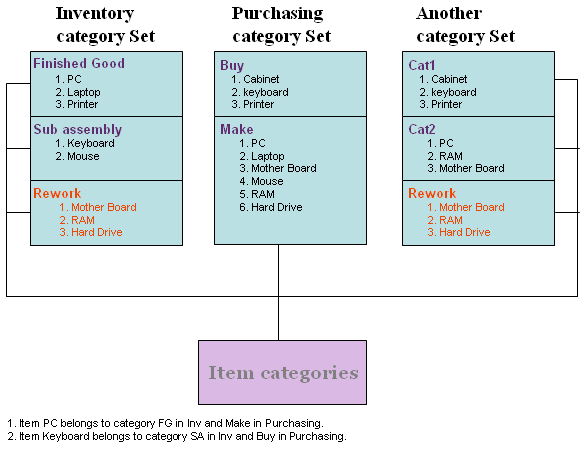 The complete set up of item categories is done in below 5 steps in sequence. Each segment structure can display prompts and fields that apply specifically to a particular naming convention. For example, you might want one of your category sets to use two segments for the names of categories. Another item grouping scheme might use just one segment for the names of categories. You choose a flexfield structure for every category set and category that you define. 3. 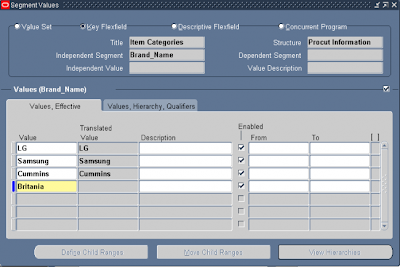 Define the item category flex field. If you choose a multi–segment flexfield structure you can assign a specific meaning to each segment. 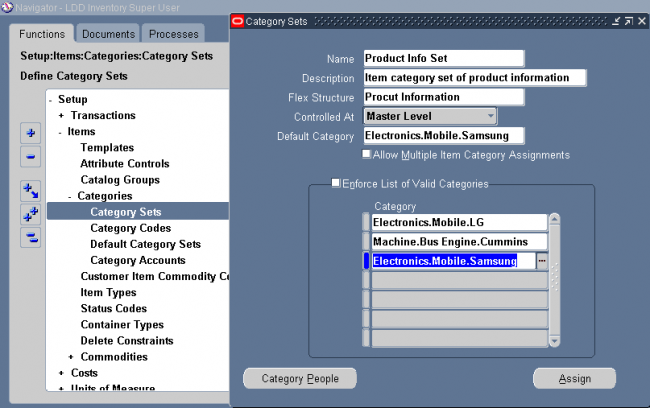 For example in our case the category "Electronics.Mobile.Samsung" means an item assinged to this category is a samusng brand mobile device of elcetroincs product group. 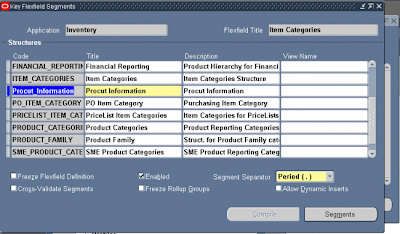 Category sets may be used as a means to develop custom lists of items on which to report and sort. You can also create other category sets such as John’s Priority or Jane’s Priority, with categories like high, medium, and low. 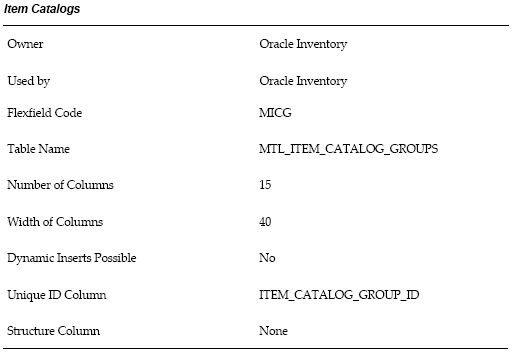 The category set Inventory is seeded when you install Oracle Inventory. The category set Purchasing is seeded when you install Oracle Purchasing. If you plan to use Order Management’s group pricing functionality with item categories, you must add the categories to the Order Entry category set. 1. You must use this window to define valid categories for each purchasing category set before you can use Oracle Purchasing. 2. For the Controlled At level, if the item defining attribute of the functional area (e.g. Inventory’s is Inventory Item) is controlled at the Organization level, then the new default Category Set should also be controlled at the Organization level. Enter a unique category set Name and Description. In the Flex Structure section, enter which flexfield structure is to be used. 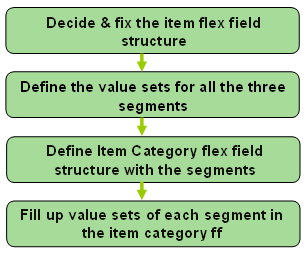 The categories assigned to the category set must have the same flexfield structure as the set itself. Select a control level and a default category. You will then need to select Enforce List of Valid Categories if you want validation of the categories at the time of input. You will then enter in or select the valid categories for the category set. 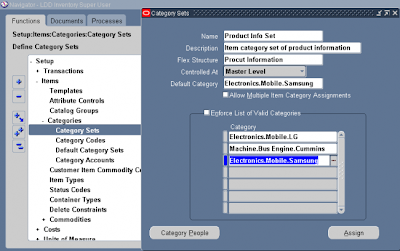 When you enable an item in a functional area, the item is assigned to the default (mandatory) category set and default category of the functional area. You can override the category set’s default category. 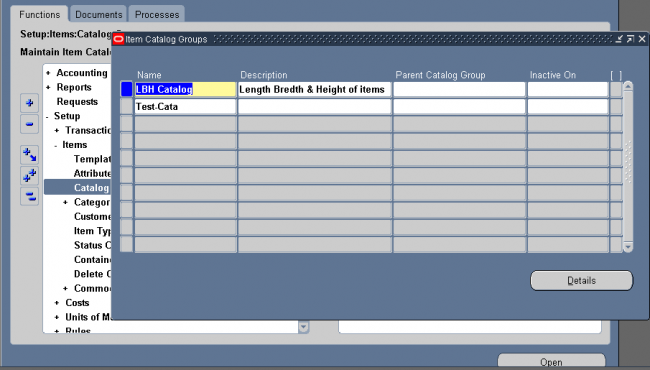 In addition, you can manually assign your item to an unlimited number of category sets. You may optionally assign an item to more than one category within a category set based on the category set definition. When you assign your item to another organization Oracle Inventory copies Master level category sets, Organization level default category sets, and the associated categories assigned in the Item Master organization. 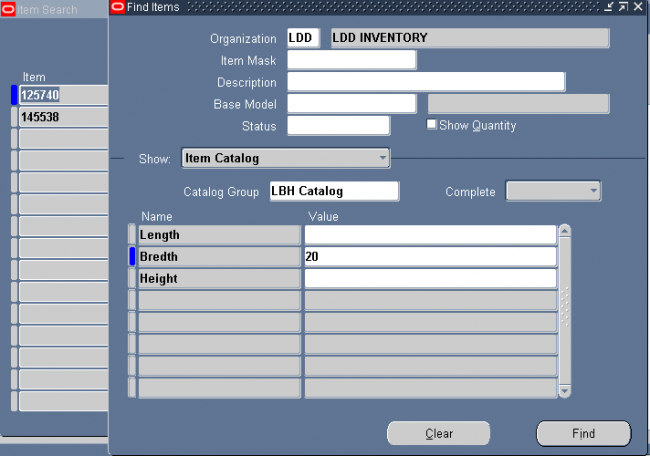 This means that if you manually assign an Organization level category set to the item in the Master organization, Inventory does not copy over that Organization level category set when you assign that item to another organization. 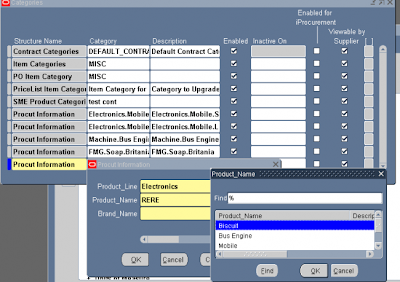 therefore assigns the default category set of the purchasing functional area. 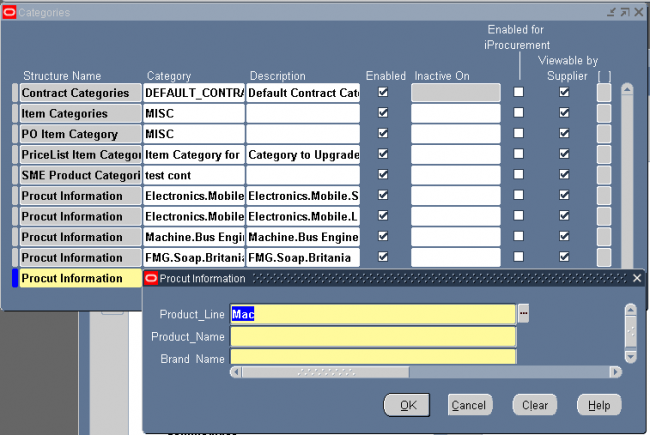 In the new organization you may decide to set the value of the Purchased attribute to ”No.” After you disable the item for the purchasing functional area in the new organization, the item still retains the purchasing default category set. You may manually delete the purchasing category set in the new organization. 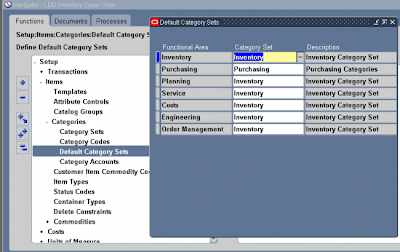 If you copy an item from another item with category sets defined at the Organization level, Inventory assigns the new item the default categories of the mandatory category sets, even if the original item did not have the default categories. This is because Inventory copies the values of the item defining attributes and not the category sets and categories themselves. Set to each of the following functional areas: Inventory, Purchasing, Order Management, Costing, Engineering, and Planning. 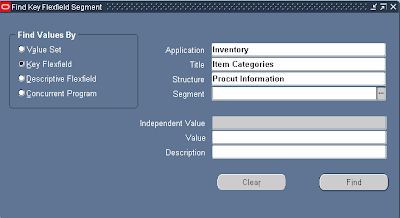 Product Line Accounting is seeded with the Inventory category set. 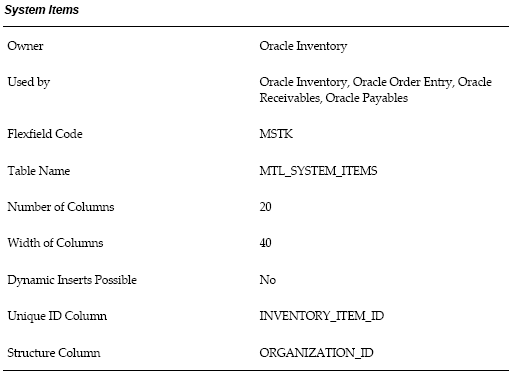 Inventory makes the default category set mandatory for all items defined for use by a functional area. 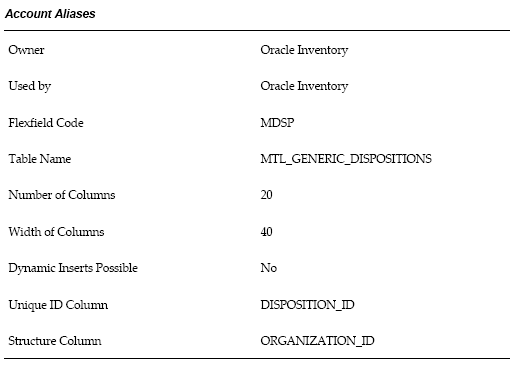 If your item is enabled for a particular functional area you cannot delete the item’s corresponding default category set assignment. 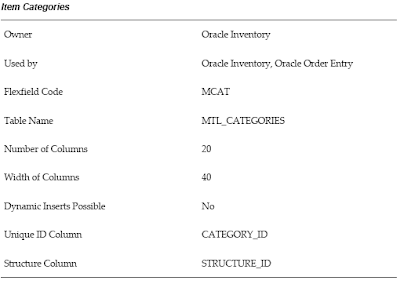 Default category sets are required so that each functional area has at least one category set that contains all items in that functional area. You can enable an item for each functional area by using that functional area’s item defining attribute. An item defining attribute identifies the nature of an item. For example, what designates an item as an “engineering item” is the attribute Engineering Item. 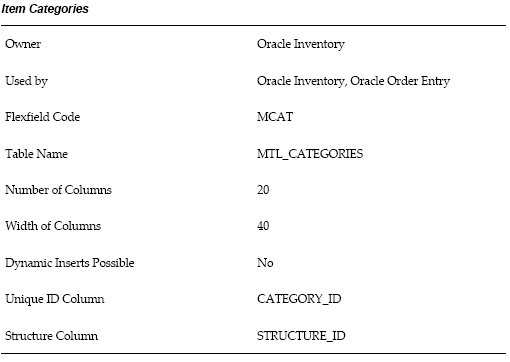 If a functional area’s item defining attribute is controlled at the Organization level, then that functional area may only have an Organization level default category set. When you enable an item for a certain functional area, Oracle Inventory automatically assigns the item to the default category set of that functional area and the default category of that set. For example, if you set Inventory Item to Yes, then Inventory automatically assigns the item to the Inventory functional area’s default category set and default category. You may change a functional area’s default category set under certain conditions. You should ensure that every item within the functional area belongs to the new default category set (which replaces the existing default category set). If the item defining attribute of the functional area is controlled at the Organization level then the new default category set should also be controlled at the Organization level. 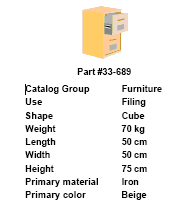 An item catalog group is a standard set of descriptive elements to which you assign items. Examples of catalog descriptive elements are color, shape, length, and so on. For example, a textile manufacturer might define pattern attributes such as color, size, texture, and style. Usage: An electronics company (say Samsung) can use the catalog to incorporate length, breadth and height of each mobile it produces. As the company Samsung also produces other electronics products such as TV, Refrigerator and etc. We should first create an item category as mobile and then create a catalog group as mobile-catalog with three catalogs length-breadth and height. 1 Define the item catalog group. 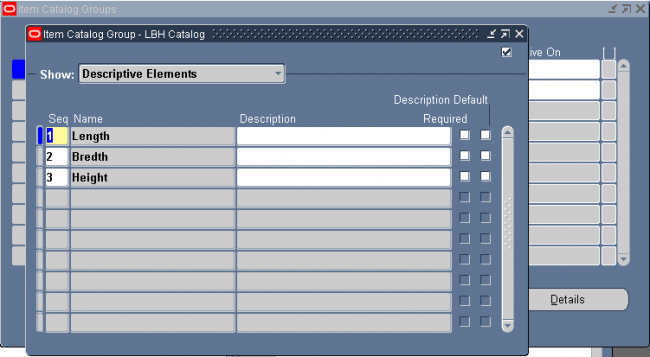 2 Define descriptive elements within each catalog group. 3 Enter categories for the catalog groups. Items belonging to the above category are attached with the descriptive element of the catalog. 4 Enter descriptive element values for each item. 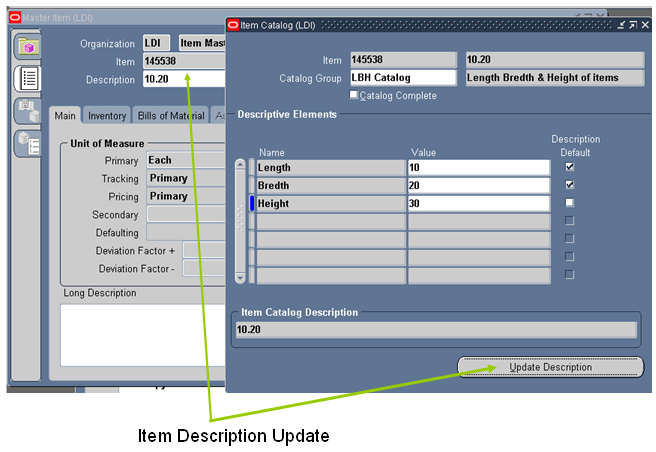 5 Update item descriptions with catalog group and descriptive element values. 6 Search for items using descriptive elements as the search criteria. Searching all the items with breadth 20. 1. 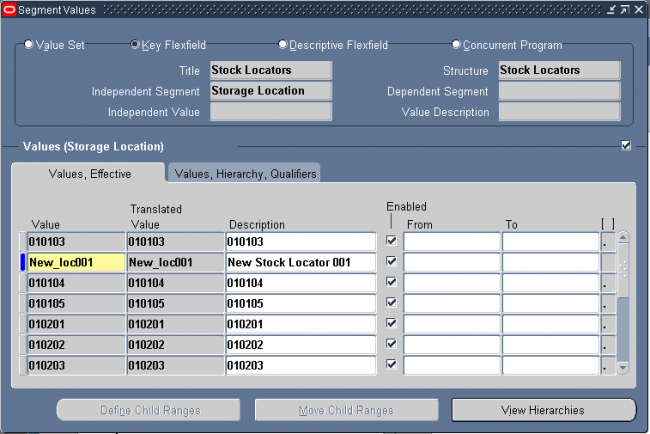 Add the segment values of the KFF stock locator. 2. Enter the new locator in locator form which can be accessed from below navigation or on subinventory form. 1. 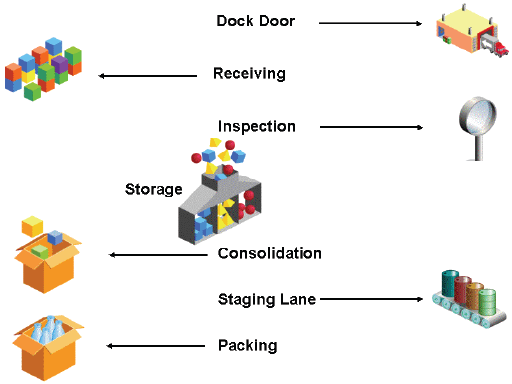 Locator Type: Indicate the locator type available choices are as follows: Dock Door, Receiving, Inspection Station, Storage Locator, Consolidation Locator, Staging Lane, and Packing Station. Dock doors are used in Oracle Warehouse Management environments only. 2. Indicate the material status of this locator, which controls the enabled transactions for all material in this locator. The status is not overridden by the status of any subinventory, lot or serial, within this locator. The statuses of those objects will be considered when determining transactions that are not enabled. 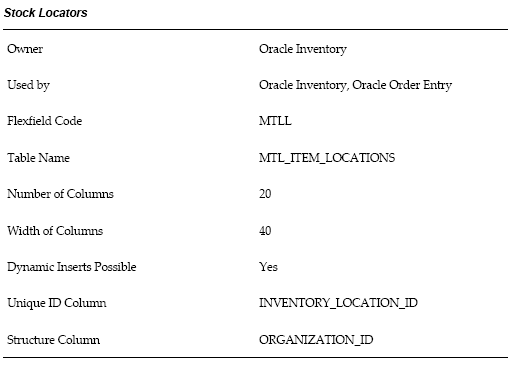 This field is used if you have Oracle Warehouse Management installed. 3. Enter the subinventory where the locator resides. 4. Enter a picking order value indicating the priority for picking items from this locator relative to another locator. 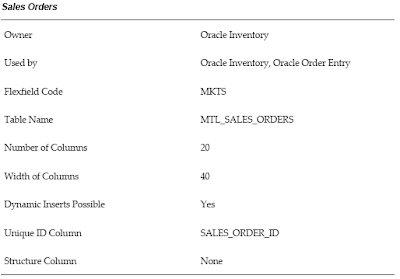 This value is used by Oracle Warehouse Management to sequence picking tasks. A picking order of 1 means that order management functions pick items from this locator before other locators with a higher number (2, 3, and so on). 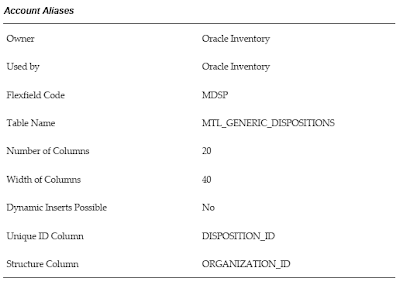 If you have Oracle Warehouse Management installed, this field determines the picking path through the warehouse and not the order in which material is allocated for a sales order. 5. Enter a dropping order to indicate the priority for dropping items in this locator relative to another locator. 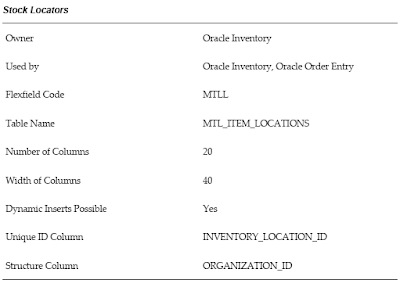 Oracle warehouse management uses this value to sequence tasks. 6. Enter the inactive date for the locator. This is the date the locator becomes inactive. An account alias is an easily recognized name or label representing a general ledger account number. You can view, report, and reserve against an account alias. During a transaction, you can use the account alias instead of an account number to refer to the account. 1. Summarize costs related to inventory and manufacturing activities for a given accounting period. 2. Distribute those costs to the general ledger. 3. Calculates ending period subinventory values. •The accounting periods and the period close process in Cost Management use the same periods, fiscal calendar, and other financial information found in General Ledger. 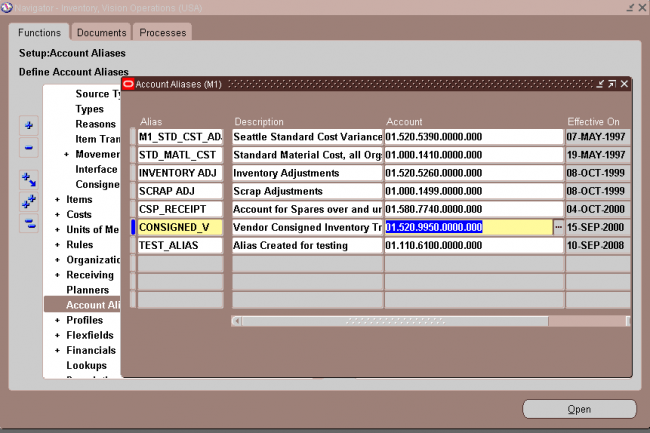 •Inventory and work in process transactions automatically create accounting entries. All accounting entries have transaction dates that belong in one accounting period. You can report and reconcile your transaction activity to an accounting period and General Ledger. You can transfer summary or detail transactions to General Ledger. You can transfer these entries to General Ledger when you close the period or perform interim transfers. •When you transfer to General Ledger, a general ledger (GL) batch ID and organization code are sent with the transferred entries. You can review and report the GL batch number in General Ledger and request Inventory and Work in Process reports by the same batch number. You can also view general ledger transfers in Inventory and drill down by GL batch ID into the inventory and WIP accounting distributions. Note: Purchasing holds the accounting entries for receipts into receiving inspection and for deliveries into expense destinations. This includes any perpetual receipt accruals. Purchasing also has a separate period open and close, and uses separate processes to load the general ledger interface. The period close process permanently closes an open period. You can no longer charge transactions to a closed period. Once you close a period, it cannot be reopened. As a precaution, you can do a GL transfer without closing the period. Note: If you have chosen the new Periodic Costing feature, Cost Management warns you of the possibility of inadvertently Posting both Periodic and perpetual costed transactions to the General Ledger. 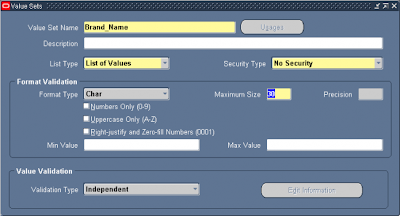 The warning displays if there is at least one legal entity–cost type combination that has the Periodic Cost Post Entries to GL option checked, where the organization under that legal entity also has the perpetual cost GL transfer enabled. For each subinventory, the period close adds the net transaction value for the current period to the prior period’s ending value. This, along with values intransit, creates the ending value for the current period. You can perform the general ledger transfer at any time during an open period—not just at period close. Interim transfers allow you to reconcile and transfer information weekly, making the month–end period close process much simpler and faster. The general ledger transfer loads summary or detail accounting activity for any open period into the general ledger interface, including both inventory and work in process entries. When more than one period is open, the transfer selects transactions from the first open period, up to the entered transfer date, and passes the correct accounting date and financial information into the general ledger interface. For example, when you transfer detail entries, the transaction date is the accounting date with a line for line transfer. When you transfer summary entries with two periods open and enter a transfer date in the second period, the transfer process assigns the period one end date for all the summarized transactions in period one and assigns the entered transfer date for the summarized transactions in period two. For each inventory organization, Cost Management transfers transactions to the general ledger interface table, line for line. If you transfer summary information, Cost Management groups transactions by GL batch, by journal category, by currency code, and by account. Attention: Transfer in detail only if you have low transaction volumes. Transferring large amounts of detail transactions can adversely affect General Ledger performance. Cost Management uses the journal source Inventory for both inventory and work in process transactions. The journal categories Inventory and Work in Process distinguish between inventory and work in process transactions. 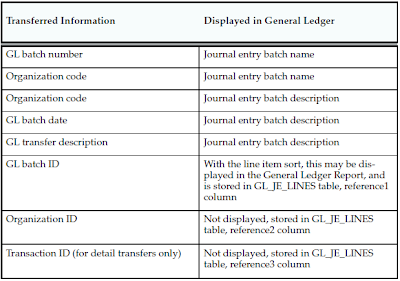 Using Journal Import and Post Journals processes in General Ledger, you can then post this information to the general ledger. Summarization of transaction records for the open period is the last step in period close. You have the option to perform this process automatically or manually using the profile option, CST:Period Summary. If the profile option is set to Automatic, the period is closed and summarized when you change the period status from Open to Closed. If the profile option is set to Manual, you can delay summarization – but you must summarize these delayed periods in accounting period order. For example, if you delay summarization for a given period, the following period cannot be summarized until the previous period is summarized. In situations where summarization is delayed, the longer the delay – the larger the number of transaction records needed for reconciliation purposes. This situation can cause summarization to take more time to complete. If you do not choose to summarize periods, set the period status to Closed not Summarized. The Period Close Reconciliation report is used to compare account balances with inventory value at period end. 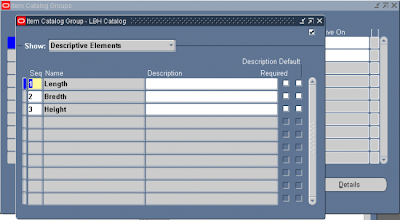 You can run the report in simulation mode by generating it for an open period. The report can be generated at any time during the period. 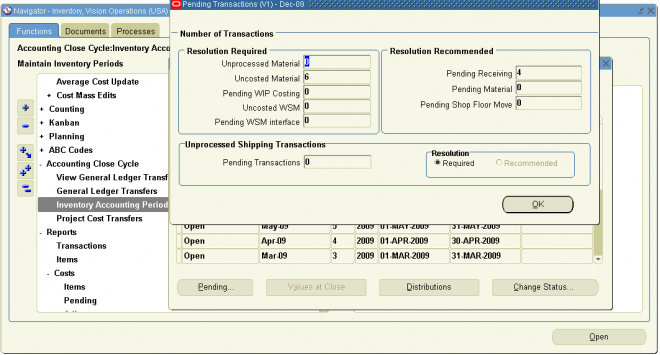 Users can see the number of pending transactions by navigating to the Inventory Accounting Periods Form. Place cursor on the appropriate open accounting period and click on the [Pending] Button. 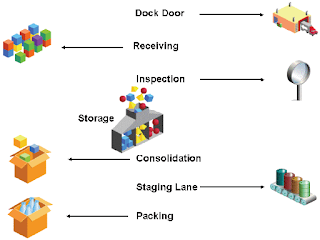 There are three zones titled “Resolution Required”, “Resolution Recommended” and “Unprocessed Shipping Transactions”. This message indicates you have unprocessed material transactions in the MTL_MATERIAL_TRANSACTIONS_TEMP table. You are unable to close the period with this condition. Please see your system administrator. Inventory considers entries in this table as part of the quantity movement. Closing the period in this situation is not allowed because the resultant accounting entries would have a transaction date for a closed period, and never be picked up by the period close or general ledger transfer process. This message indicates you have material transactions in the MTL_MATERIAL_TRANSACTIONS table with no accounting entries (Standard Costing) and no accounting entries and no costs (Average Costing). You are unable to close the period with this condition. These transactions are part of your inventory value. This message indicates you have unprocessed resource and overhead accounting transactions in the WIP_COST_TXN_INTERFACE table. You are unable to close the period with this condition. These transactions are in your work in process value, and awaiting further processing. “Pending Transactions” in the Unprocessed Shipping Transactions zone indicate there are transactions in the WSH_DELIVERY_DETAILS table in a status of shipped. When you use Purchasing, this message indicates you have unprocessed purchasing transactions in the RCV_TRANSACTIONS_ INTERFACE table. These transactions include purchase order receipts and returns for inventory. If this condition exists, you will receive a warning but will be able to close the accounting period. These transactions are not in your receiving value. However, after you close the period, these transactions cannot be processed because they have a transaction date for a closed period. 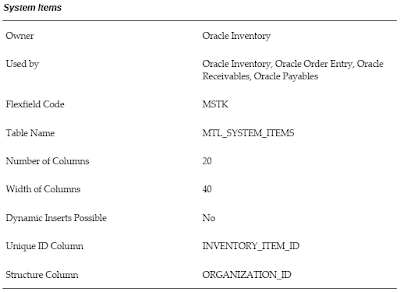 This message indicates you have unprocessed material transactions in the MTL_TRANSACTIONS_INTERFACE table. If this condition exists, you will receive a warning but will be able to close the accounting period. These transactions are not in your inventory value. However, after you close the period, these transactions cannot be processed because they have a transaction date for a closed period. Be sure you enter all transactions for the period. Perform all issues, receipts, and adjustments. Verify that no hard copy records exist or are waiting for data entry, such as packing slips in receiving. 2. Check Inventory and Work in Process transaction interfaces. You can set up the material and move transaction managers to execute transactions immediately, then submit an immediate concurrent request to execute, or submit a concurrent request periodically at a time interval you specify. If you do not use immediate processing, or interface external transactions, check the Inventory material transaction manager and the Work in Process move transaction manager before closing the period. 3. Check Cost Management cost interfaces. Cost Management processes your inventory and work in process accounting transactions as a concurrent request, using a specified time interval. Before you close the period, you should check that the Cost Manager is active. 4. 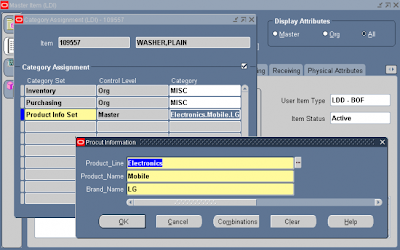 Check Order Management transaction processes. If you use Order Management, ensure that all sales order transaction processes complete and transfer successfully to Inventory. – Other inventory journal entries. Journal entries from products other than Inventory that affect the inventory accounts. – Charges to improper accounts: For example, you issued material from a subinventory to a miscellaneous account, but used one of the subinventory accounts as that miscellaneous account. – Issue to miscellaneous account: For example, the following miscellaneous transaction issue would cause an out of balance situation: debit account specified at transaction 123, credit subinventory valuation account 123. The debit and credit net to zero with no financial charge, but since the inventory quantity decreased, the month–end inventory valuation reports will not equal the general ledger account balance. – Transactions after period end reports. This occurs when you run the end of month inventory valuation reports before you complete all transactions for the period. In a organization using Project Manufacturing Average Costing, if there is more than one cost group, the following valuation reports should not be used for reconciliation purposes because these reports list the average value across cost groups. 7. 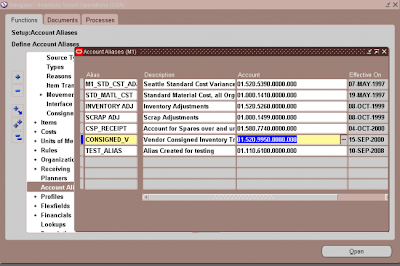 Validate Work in Process inventory. If you use Work in Process, check work in process inventory balances against transactions with the WIP Account Distribution Report. 8. Transfer transactions in advance of closing period (optional). If time permits, run the general ledger transfer process up to the period end date before closing the period. 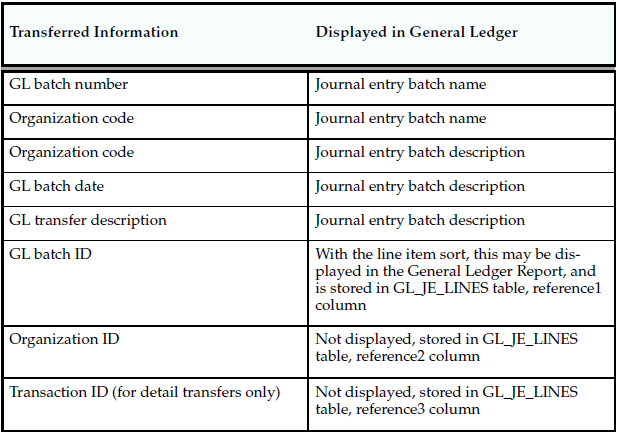 Closing a period executes the general ledger transfer automatically. However, you can also run this process without closing a period using Transfer Transactions to General Ledger. Since you cannot reopen a closed period, running this process before period close allows you to proof the interfaced transactions and make adjustments to the period via new inventory transactions as necessary. 9. Close Oracle Payables and Oracle Purchasing. If you only use Purchasing and Inventory, you need to close Purchasing first. Close Payables before Purchasing, in preparation for accruing expenses on uninvoiced receipts. Doing so ensures that all new payables activity is for the new month and you do not inadvertently match a prior month invoice in payables to a new month receipt. When you close Purchasing or Inventory, you cannot enter a receipt for that period. However, as a manual procedure, close Purchasing before Inventory. This still allows miscellaneous transaction corrections in Inventory. 10. Run the Period Close Reconciliation report. 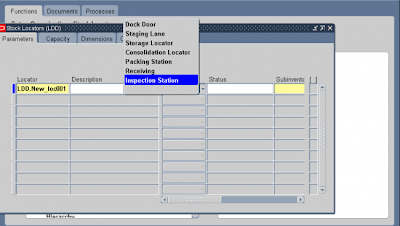 This report automatically runs in simulation mode for the open period. It is used to match account balances with inventory value at period end. 11. Close the accounting period and automatically transfer transactions to the general ledger. This sets your Inventory Accounting Period status to Closed not Summarized. If the CST: Period Summary profile option is set to Automatic, no other steps are necessary. The period status is set to Closed when the summarization process has completed. 12. If the CST: Period Summary profile option is set to Manual, create period summarization transactions by generating the Period Close Reconciliation report. The concurrent program creates summarized transaction records, and displays the differences between account balances and inventory value.